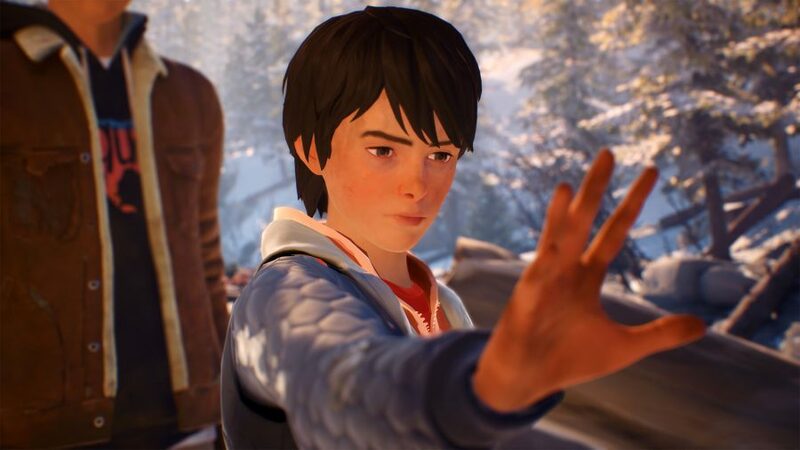 Given the circumstances, Life is Strange 2’s second episode has a surprisingly optimistic opening. After the chaos that marred the end of the previous instalment, Daniel is now getting to grips with his powers, which allow him to move objects with his mind. Sean has quickly adapted to his new role as mentor, and as well as encouraging his younger brother to control his new abilities, it’s his job to try to keep them secret. Before continuing, I should warn you, this review features story spoilers for episodes one and two throughout. The boys have continued south since you last saw them. The events you missed are documented in Sean’s journal; a powers-related near miss in a homeless shelter, a hitchhike with a friendly college professor, the beginnings of Daniel’s training. You join the brothers as they stumble upon an abandoned holiday cabin where they can take a few days to rest in relative comfort. With the title ‘Rules’, there’s no guessing as to what this episode is all about. It’s time to come to terms with the abilities that will define Sean and Daniel’s adventures – the liberties and restrictions they bring. “With great power comes great responsibility,” Uncle Ben said to Peter Parker, and it’s those immortal words that seem to echo throughout this second episode. Life is Strange’s Max Caulfield could use her time-travel powers with impunity, simply raising an arm to nip back in time without anyone noticing. In comparison, Daniel’s Jedi-like abilities have the potential to attract plenty of attention, which is exactly what a pair of children on the run don’t want. Sean finds himself in something of a catch-22: he needs to ensure Daniel can control his powers, but the practise required to do so only emboldens his younger brother. Daniel swiftly uses his powers for trivial tasks, sending dinner plates and toys spiralling through the air. It’s endearingly playful, but also frustrating, as it doesn’t matter how much you try to drum home your rules – there’s no real way to control an excitable nine-year-old with superpowers. The boys are soon forced to move on; winter has well and truly set in by the start of episode two, and the Oregon wilderness feels positively arctic. Ankle-deep snow crunches underfoot as the boys hone their powers near an ice-cold stream, while wind whistles through a broken window, making the abandoned cabin feel dangerously cold. As Daniel’s health deteriorates, the boys must relocate, making a two-day trek to the house of his estranged grandparents in the fictional village of Beaver Creek. 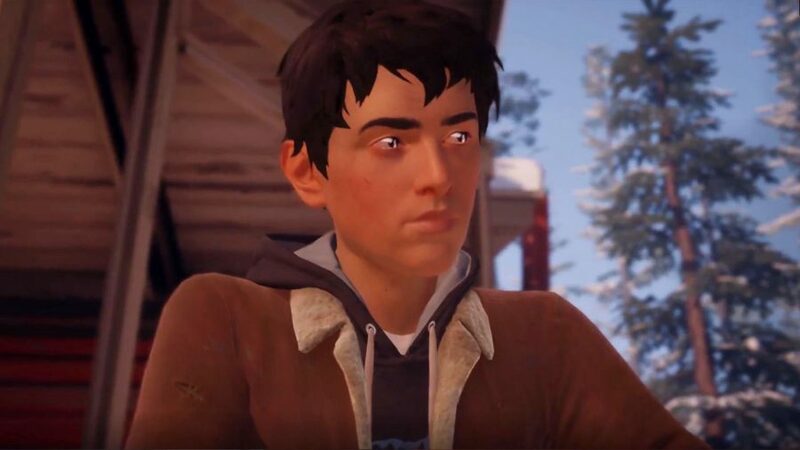 Fans who’ve been paying attention to the wider Life is Strange universe will remember Beaver Creek as the home of Chris, a.k.a. Captain Spirit. Chris and his father, Charles, live next door to Sean and Daniel’s grandparents. Episode two provides a new perspective on the events of the prequel, as Sean and Charles bond over their mutual feelings of loss. 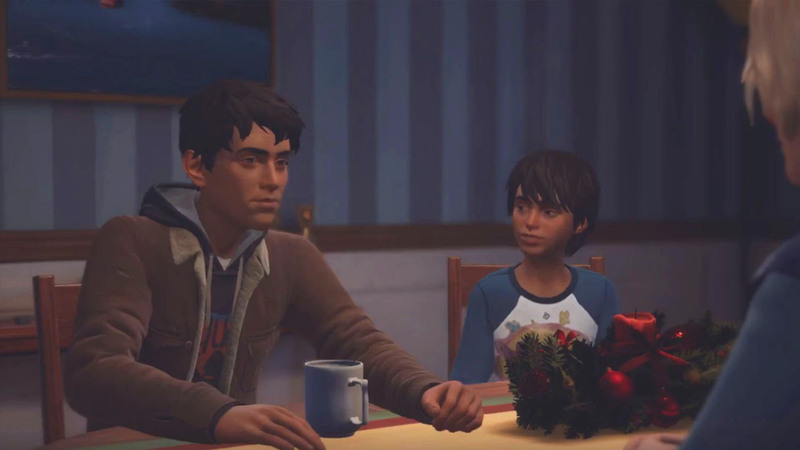 While Charles is a difficult character to forgive in these moments after the violence and emotional neglect that defined Captain Spirit, the exchanges provide powerful insight into Sean’s development. From a dorky high-school kid at the beginning of episode one, he’s grown an awful lot, learning to walk the fine line between childhood and adulthood that comes with late adolescence. It’s that growth which strains his relationship with Daniel. The younger of the two boys finds a much-needed friend in Chris as he settles into Beaver Creek, but at the same time his attitude to his powers becomes ever more nonchalant. It’s not long before he’s actively showing off, using his powers around other people and forcing Sean to keep him in check. Although Sean is relatively forgiving, I find myself resenting Daniel – I am the one making sacrifices to protect the pair, while he comes dangerously close to being discovered several times. While this narrative concept has been proven across decades of sci-fi and fantasy, it stifles Life is Strange. Sean’s determination to keep Daniel’s power a secret, while a common-sense approach that feels central to their fugitive status, is at times actively punishing for the player. A more entertaining story seems to be waiting for me, if only I can abandon the self-preserving creed my character sets out at the beginning of the episode. While the boys’ grandparents are at church, they have the chance to reconnect with their former lives in Seattle. It’s an incredibly tantalising offer: Sean’s relationships are one of my favourite parts of episode one, but were cut agonisingly short when the boys went on the run. That episode closed on the warning that contact with the past was dangerous, exactly the kind of thing that would attract the attention of the police. As such, I avoid those opportunities in episode two, but, in doing so, I feel like I’m robbing myself of narrative opportunities in a way that I haven’t with the series’ previous entries. Eventually, and somewhat predictably, the new life the brothers find falls apart. While Beaver Creek is a safety net for a while, it’s clear from the outset that this is only going to be a brief stopover as the boys move from haven to haven. Frustratingly, it doesn’t seem as though you have any capacity to prevent this – so what purpose is the episode supposed to serve? The moment-to-moment narrative is as emotive as ever, but in many cases Rules spins its wheels, as if Dontnod is unsure where to send us next. It already appears as though episode three has a better sense of direction, but I hope that it’s more prepared to take player choice into account.